In an amusing bit of irony, several companies in the United States are being urged by the Federal Trade Commission to remove the “Warranty Void if Removed” stickers and scrap other onerous policies that appear on their products because they are unenforceable garbage. The government agency announced Tuesday that it sent letters to six major companies to warn that their warranty policies, which prohibit owners from removing a label or using third-party parts and tools, are prohibited by law and could be considered deceptive under the FTC Act. Given the inclusion of video game systems, it’s a reasonable bet that Microsoft and Sony found a letter from the FTC in their mailboxes. Both companies have plastered stickers on their consoles—the Xbox One and PlayStation 4, respectively—that warn the factory warranty will be void if the device casing is opened. Apple has previously come under fire for similar policies and just last year finally changed its stance that third-party screen repairs on iPhones voided the device’s warranty. It’s not all good news from Apple, though. A teardown of Apple’s recent MacBook line found the company included parts that would reveal if a person had tampered with the machine, which would alert Apple that the warranty on the laptop could be void. Despite the inclusion of such warnings, most of the restrictive policies produced by manufacturers are completely unenforceable. The 1975 Magnuson-Moss Warranty Act prohibits manufacturers from placing repair restrictions on any device it offers a warranty on. According to the FTC, unless the manufacturer provides the parts or services to the consumer for free or receives a waiver, it cannot require customers to comply with specific repair requirements or risk voiding the warranty. “Provisions that tie warranty coverage to the use of particular products or services harm both consumers who pay more for them as well as the small businesses who offer competing products and services,” Thomas B. Pahl, Acting Director of the FTC’s Bureau of Consumer Protection, said in a statement. Companies that received the warning letter from the FTC will have 30 days to update the warranty policies on their websites to comply with federal law before the commission takes further action. The FTC has previously used the Magnuson-Moss Warranty Act to pursue a case against BMV over the company’s burdensome warranty policy. 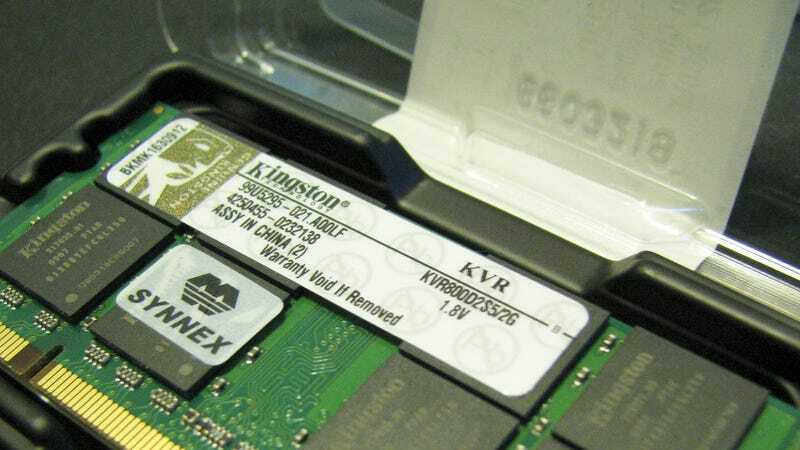 Manufacturers may try to continue to sneak the labels onto products as a means of scaring off consumers from making fixes on their own, but in most cases you can rest assured that your warranty will be intact with or without the sticker.